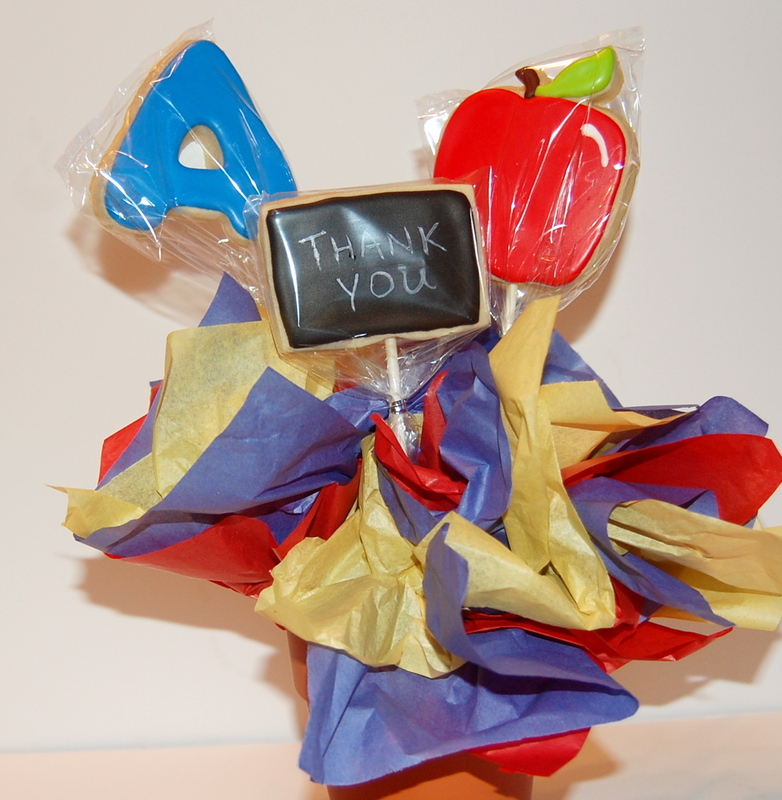 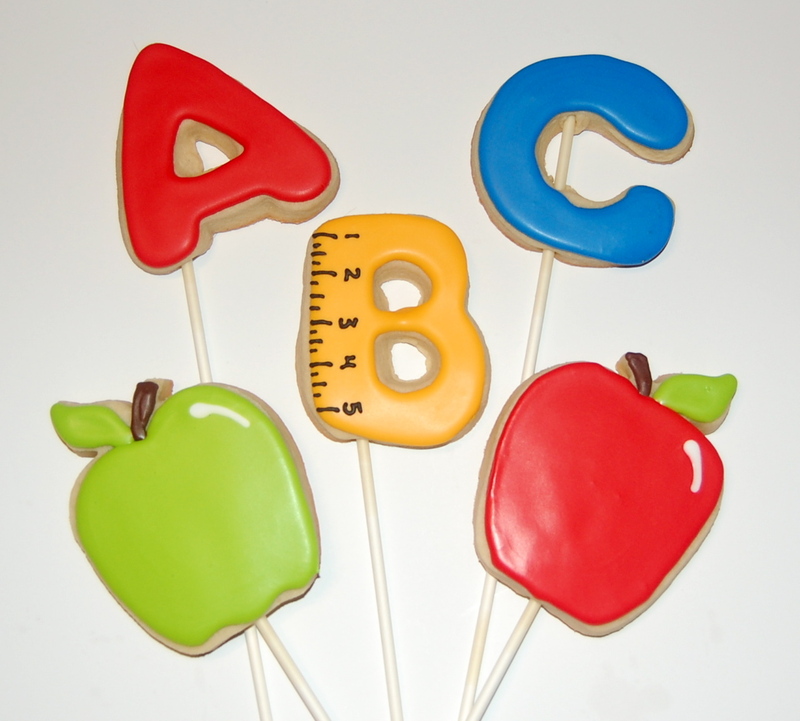 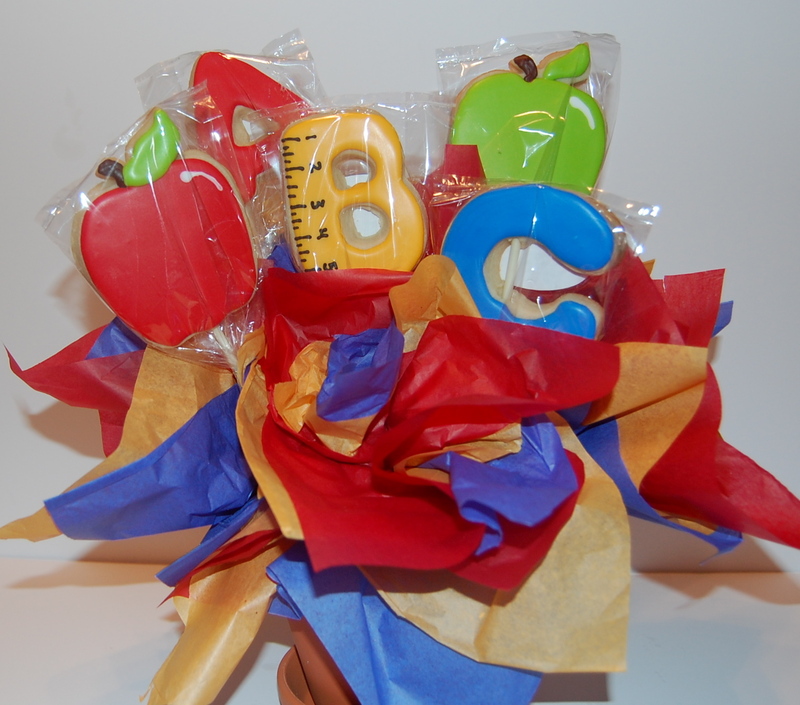 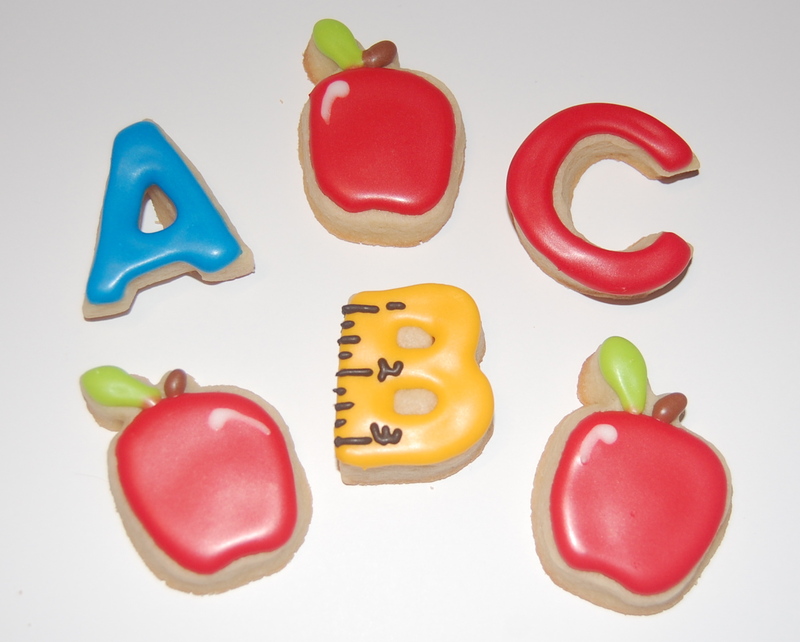 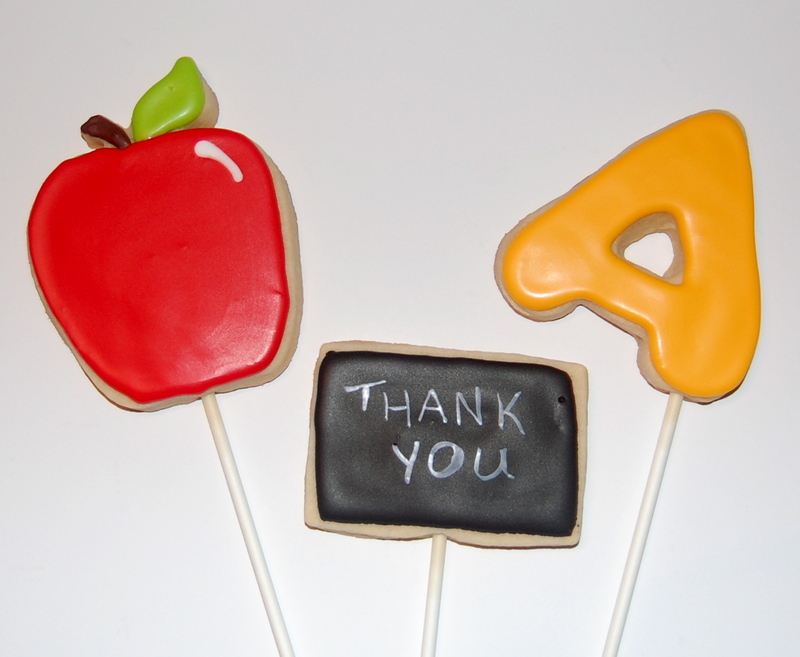 Well, the school year has ended and I created several dozen sugar cookies and sugar cookie bouquets for kids to give to their teachers to say Thank You for all they do. 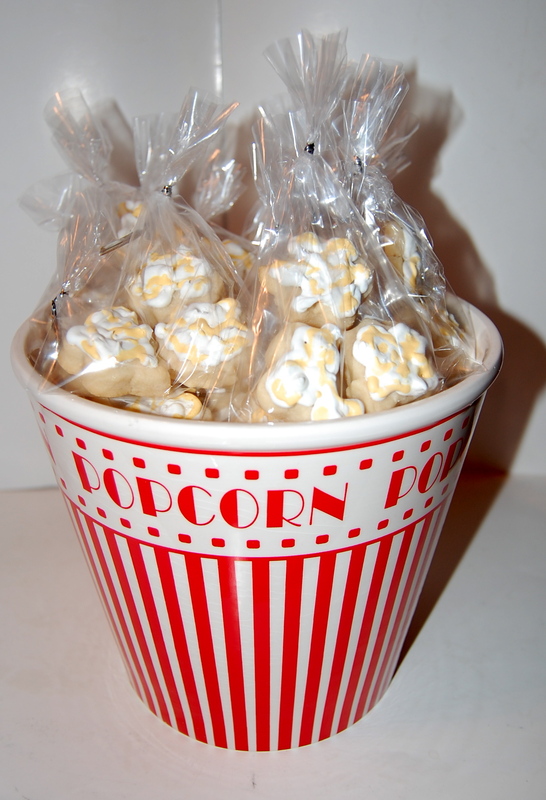 If you want to know how I did the popcorn, please keep reading. 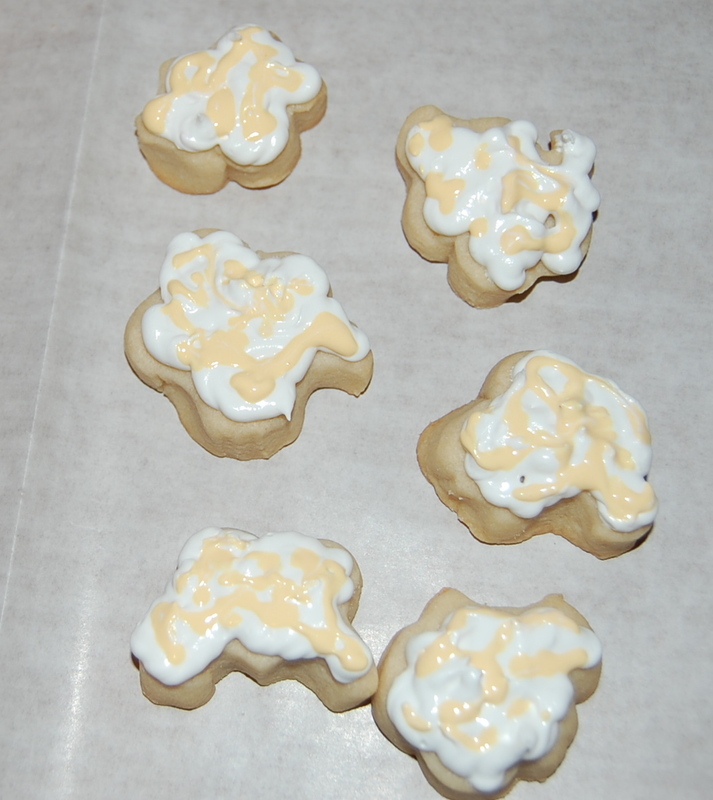 At this point I was still a little skeptical that it would look like popcorn. 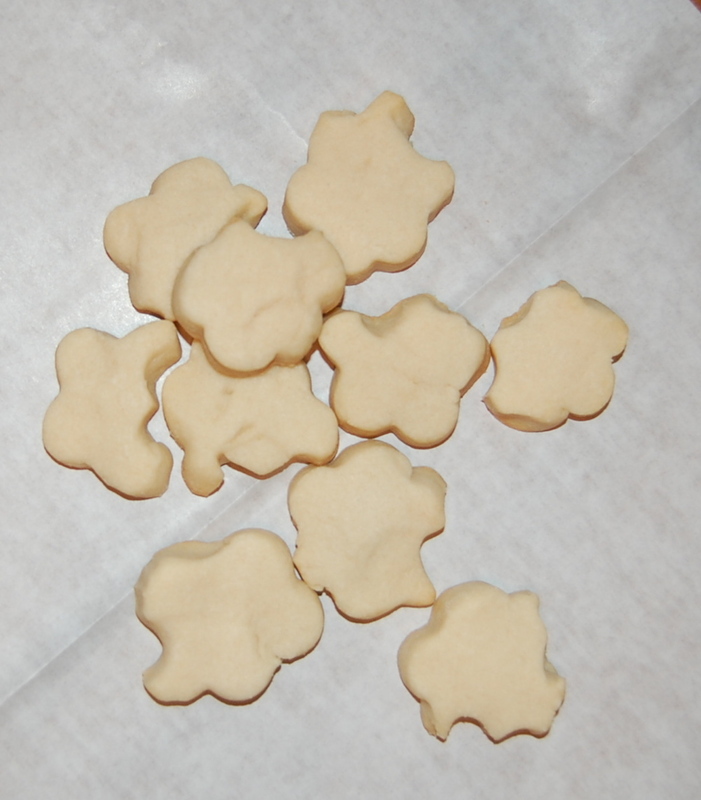 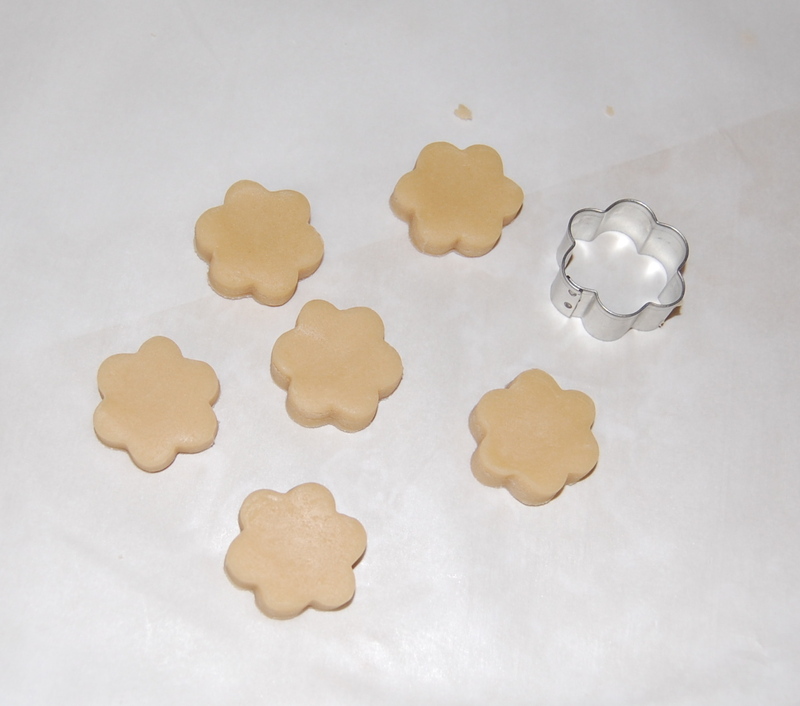 But I pressed on and added the royal icing to the popcorn sugar cookies. 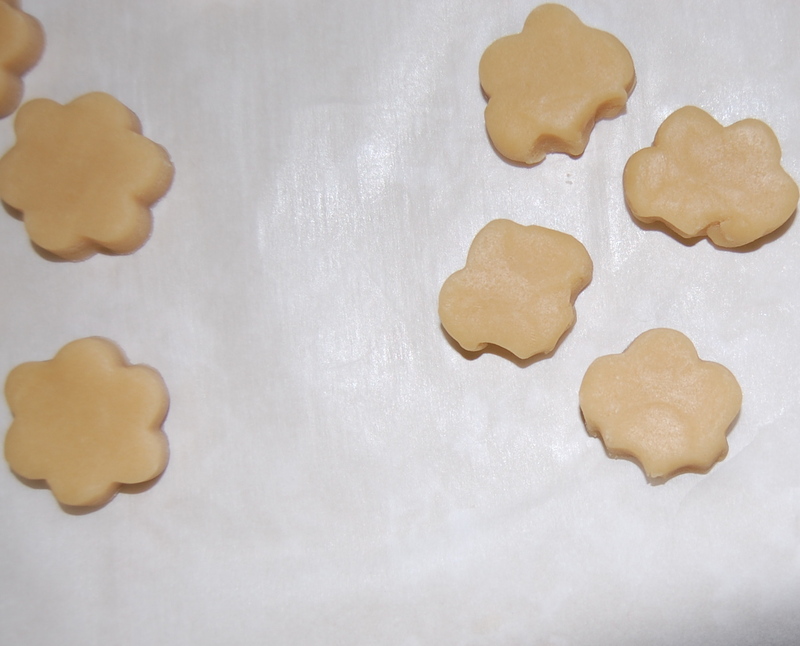 Once I put the finished sugar cookies in the popcorn bucket I was pleased with how they turned out. 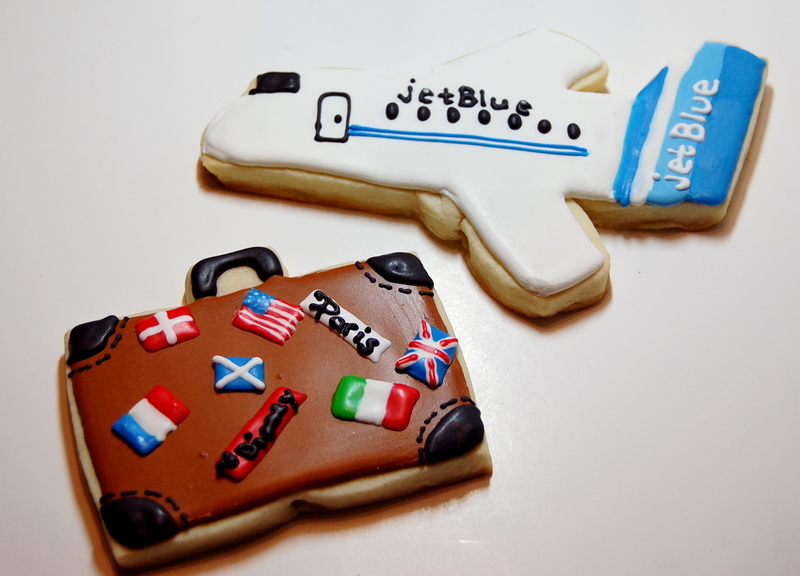 Something kind of fun and unexpected. 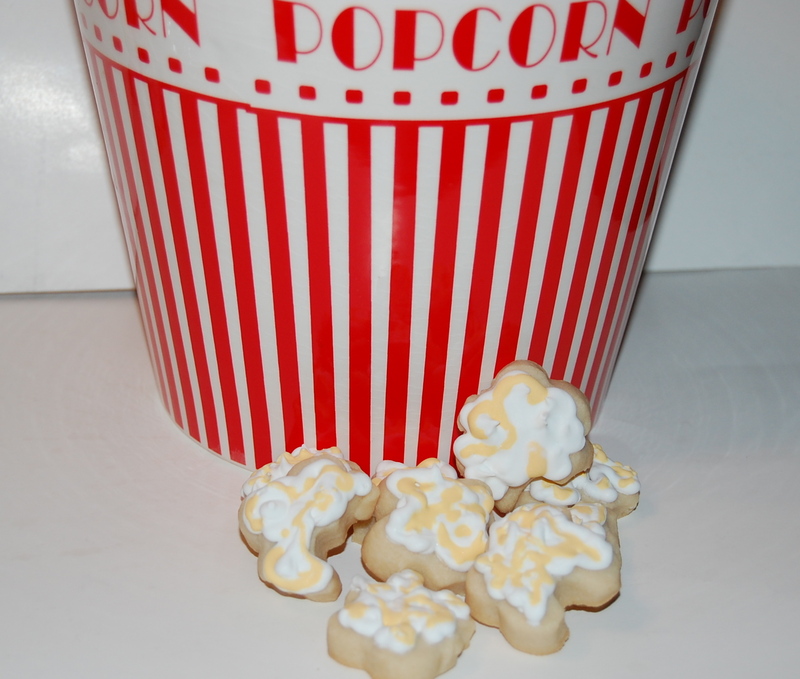 I think these sugar cookies in a little popcorn bucket would make a cute gift to give to someone along with some movie tickets. 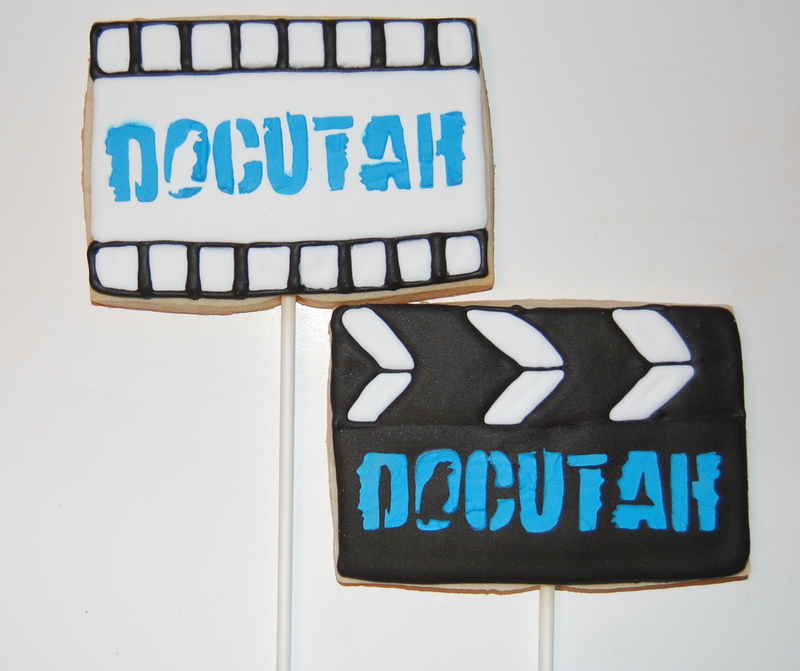 I was asked again this year to make a sugar cookie bouquet for Docutah, the southern Utah documentary film festival held in St. George, UT. 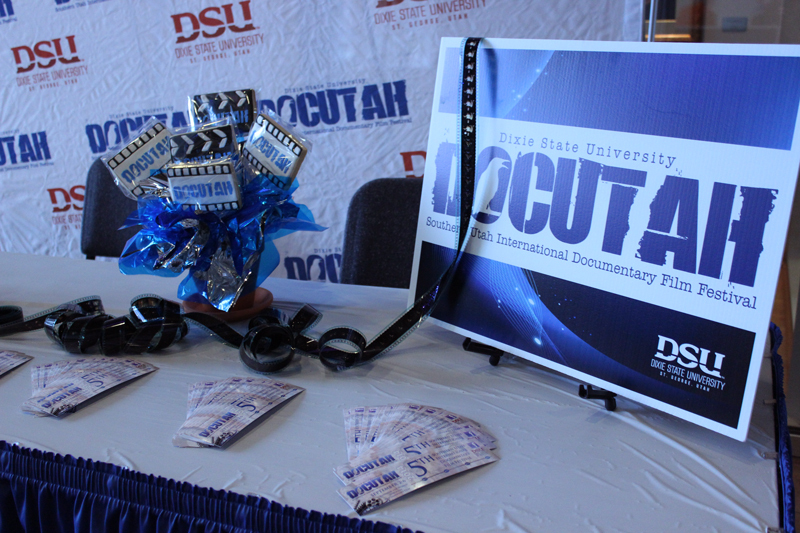 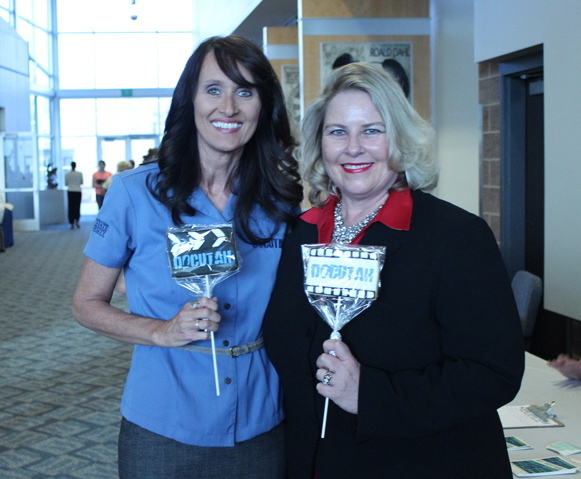 A special event was held to promote the festival and as part of that event they had a panel present to discuss the documentary that was shown. 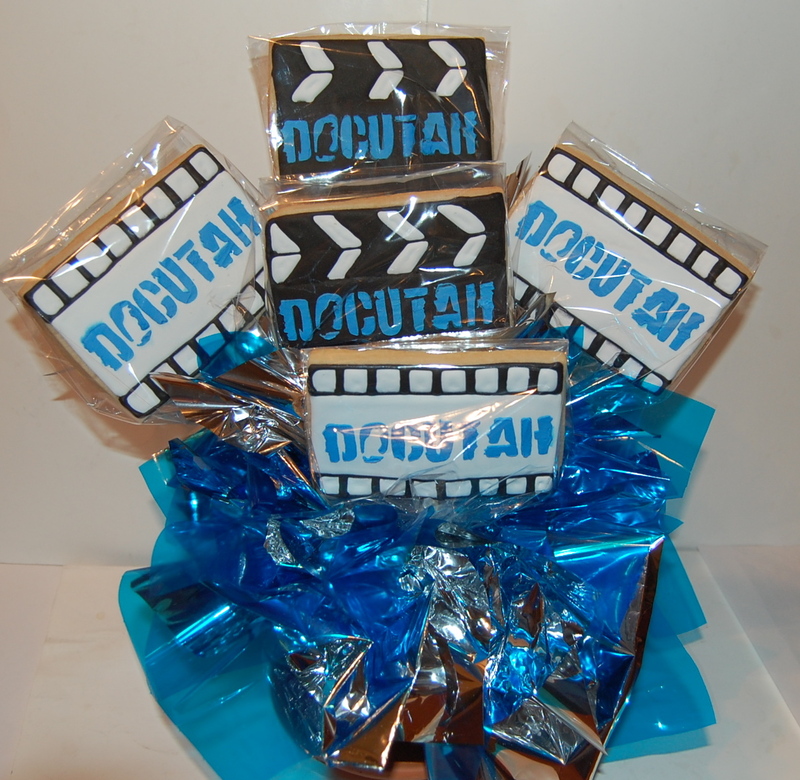 To say thank you to the panel members, they gave each of them a cookie from the bouquet. 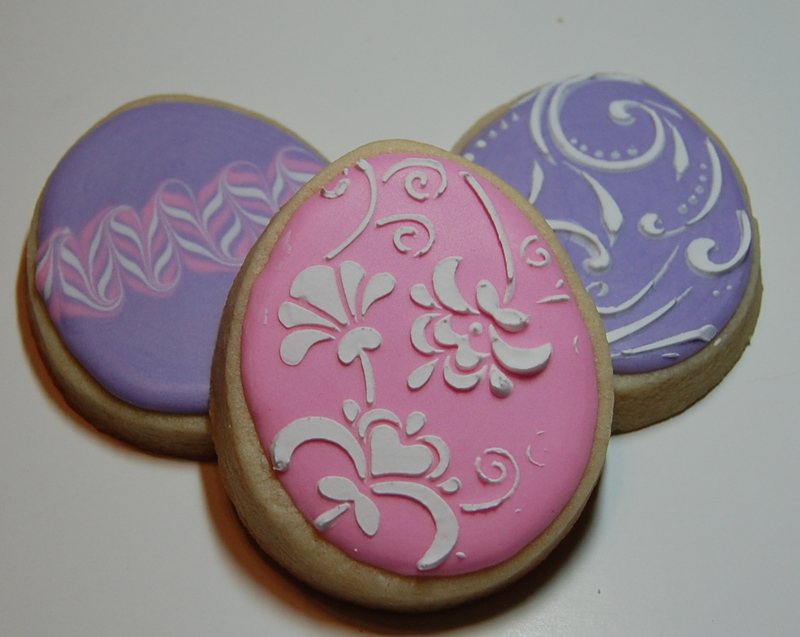 It’s time for Easter sugar cookies! 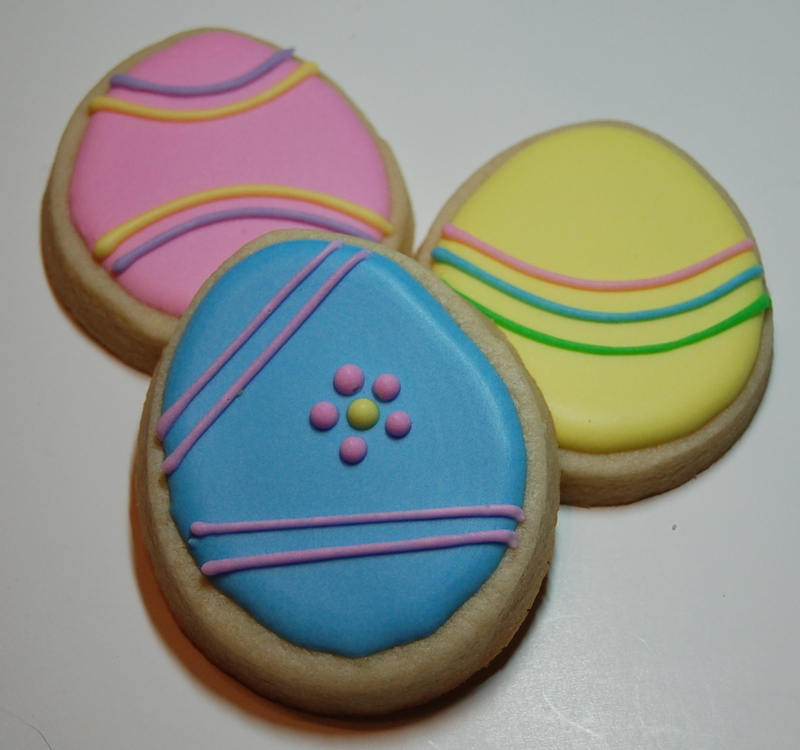 Here are some I did for M&R Gallery of Photography. 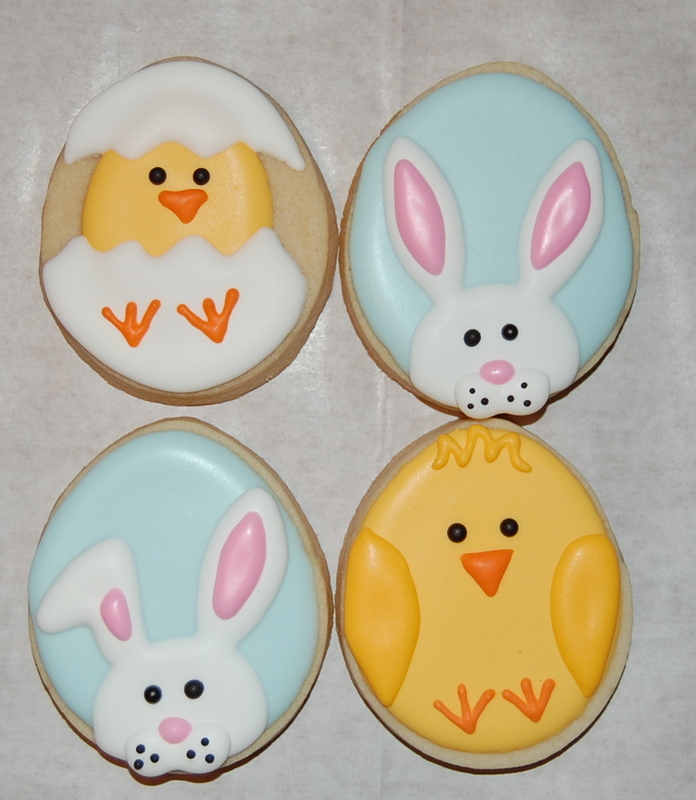 They have an annual “chicks and bunny” day where kids can have their pictures taken with live chicks or a bunny. 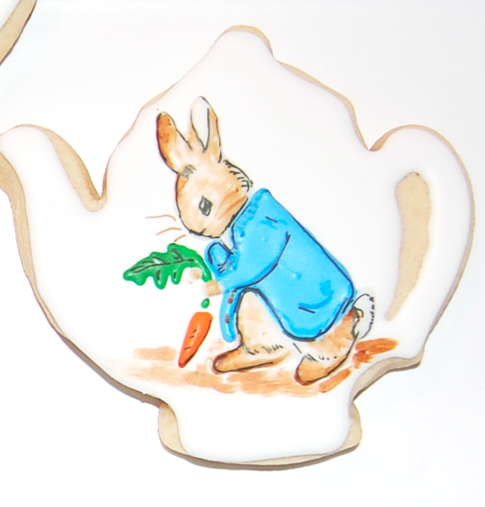 They wanted some chick sugar cookies – but I also thought they needed some bunny sugar cookies. 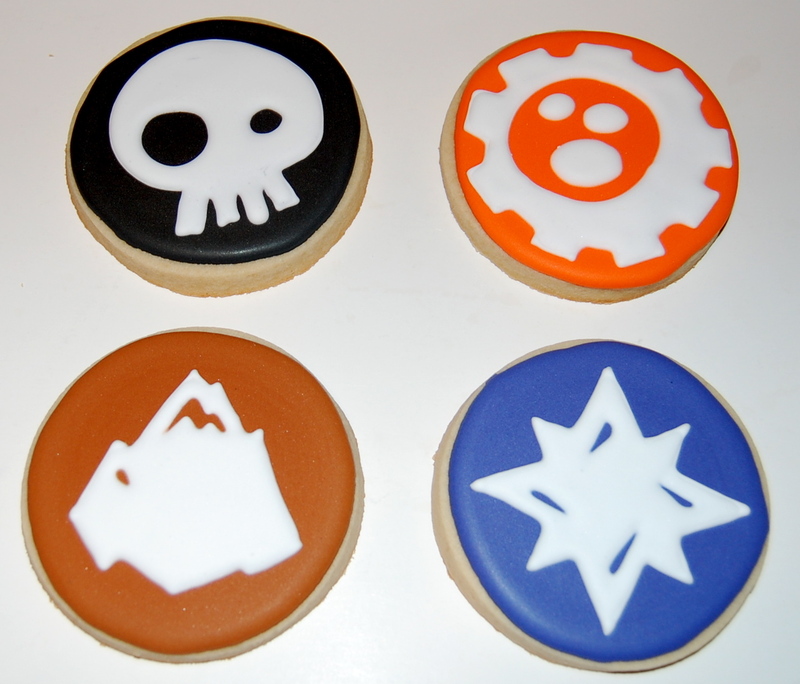 Just like when I was asked to make Beyblade sugar cookies, when I was asked to make Skylander sugar cookies for a little boy’s birthday I had no clue what the Skylander game was. 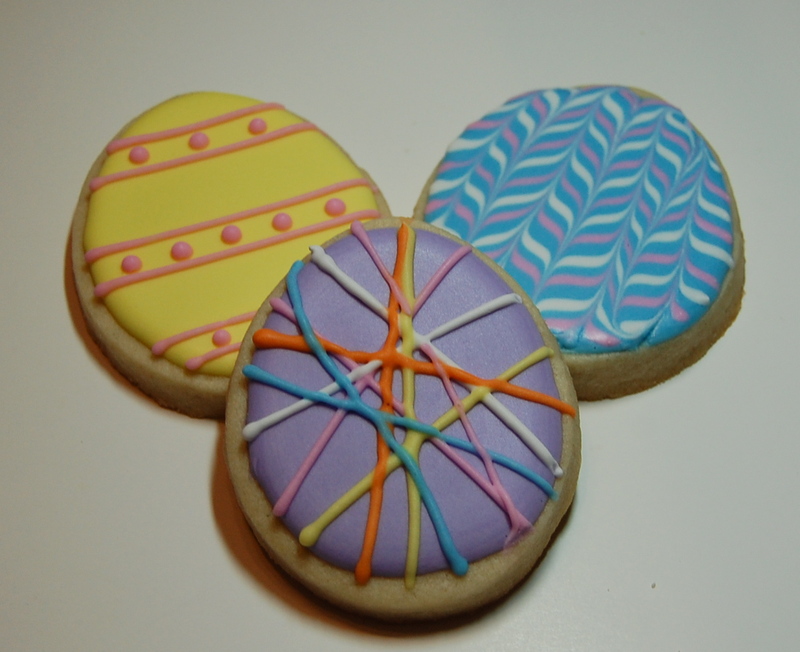 Thank goodness for the internet! 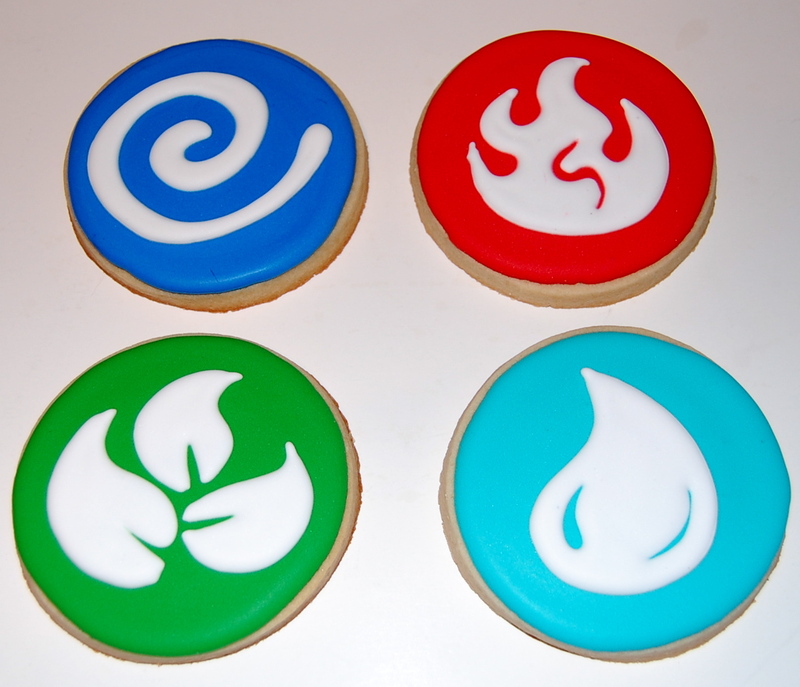 I decided to do the 8 elements and then 4 of the characters. 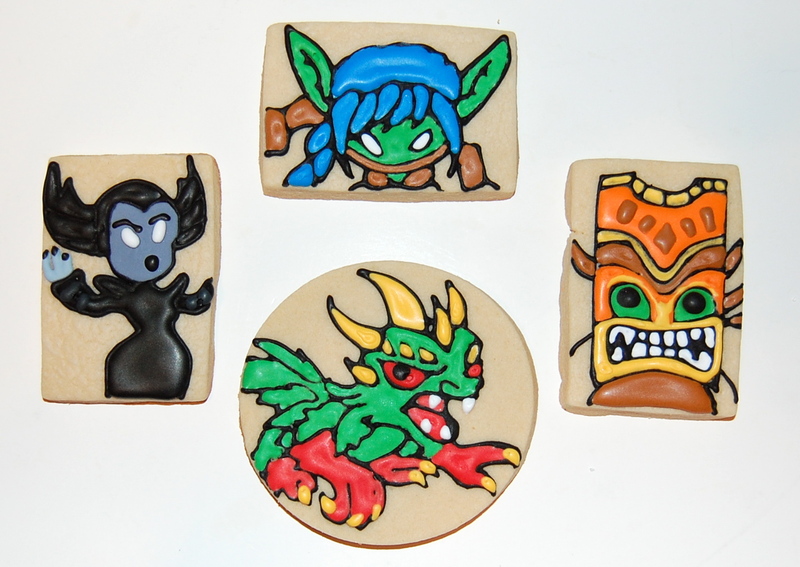 These Skylander character sugar cookies were some of the more complicated designs I’ve done. 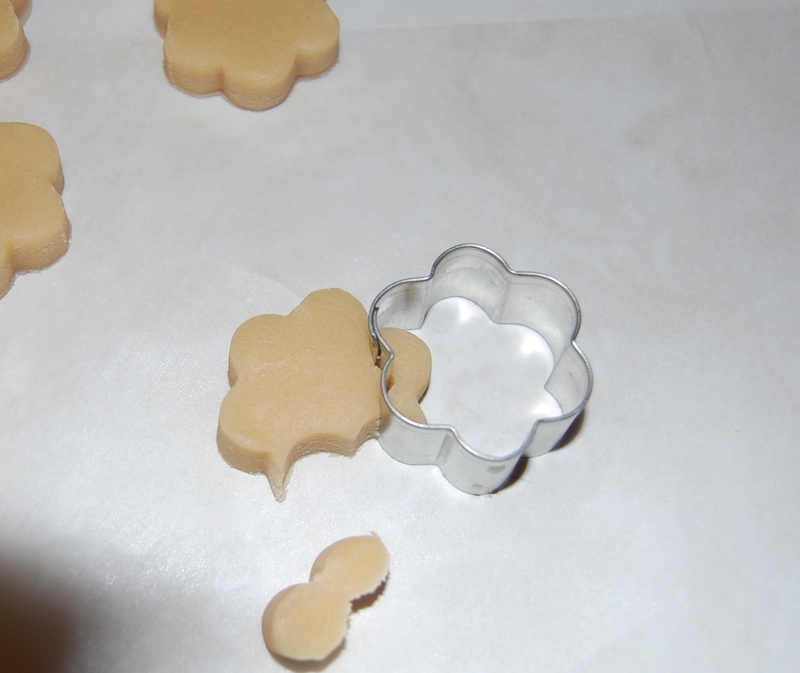 But it was fun to see if I could really do it! 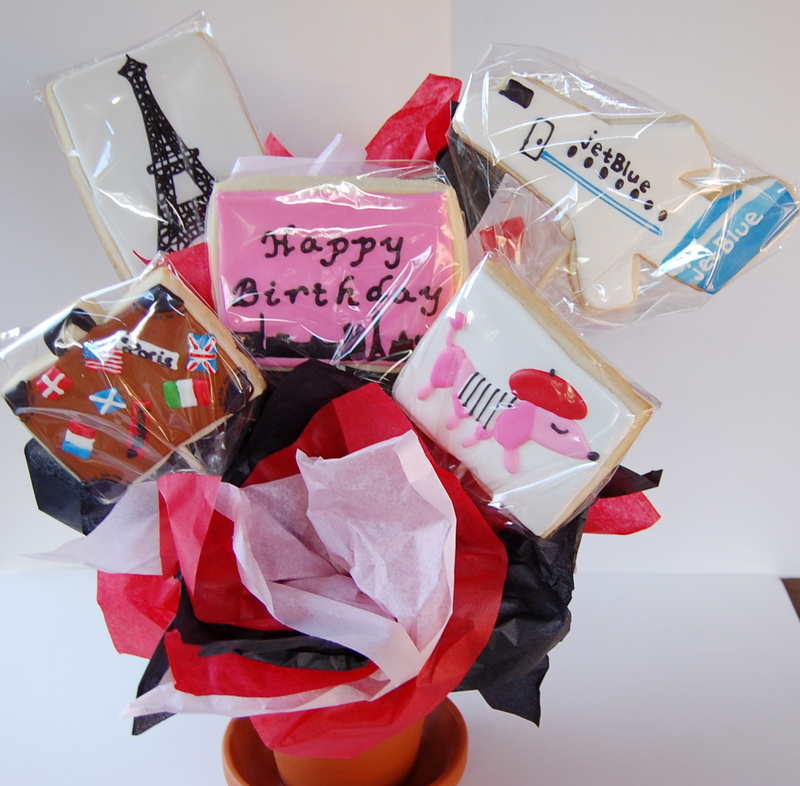 Here is a sugar cookie bouquet I did for someone to give to their sister who works as a flight attendant for JetBlue and who loves Paris. 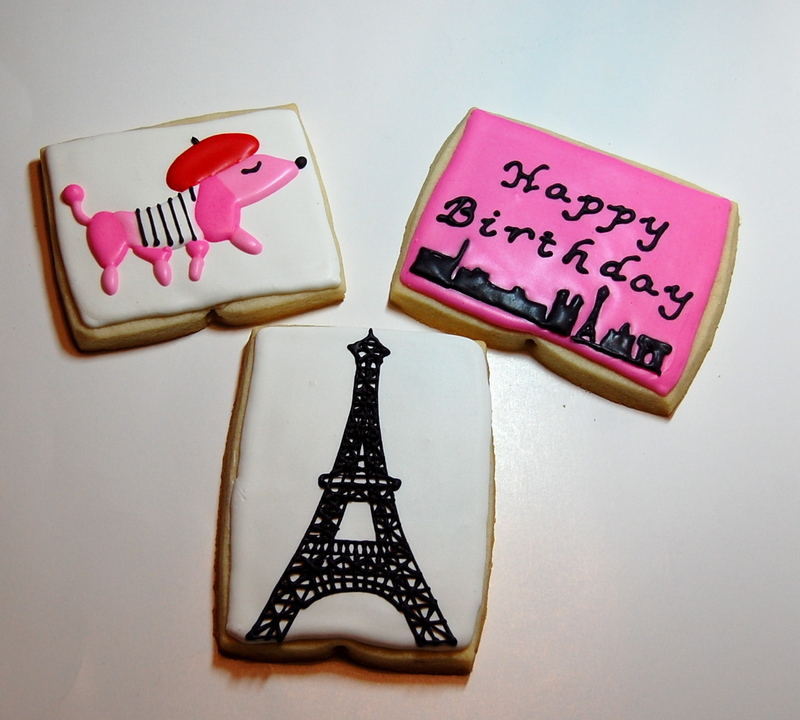 I borrowed the design of the dog from Sweetopia.com.